Mrs. Megan Spring started at RHCDS in 2006 and has been teaching since 1996. 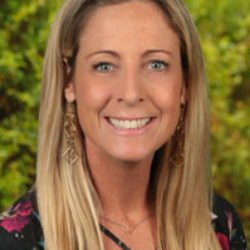 Mrs. Spring was raised in Chicago and received her Bachelors degree from Loyola University of Chicago and teaching credential from Cal State Dominguez Hills. Her favorite part of working at RHCDS is coming to work every day and seeing the smiling faces of her students, coworkers, and families. She loves to go running, biking, practice yoga, and walk her dogs.